Shelley and Keats Memorial House in Rome is a museum in Rome, in memory to the English Romantic poets John Keats and Percy Bysshe Shelley, (Shelley and Keats) Keats died in this house and the room holding his deathbed has been preserved as a shrine to the writer tortured. The museum hosts a variety of memories from both poets, John Keats due to its obvious connection to the house, and Shelley due to his relation to the city of Rome. The guide to Rome, of Tour in Rome, helps you to plan the best trip and best itenerary in Rome, with information on restaurants, hotels, travel tips to visit the city of Rome. 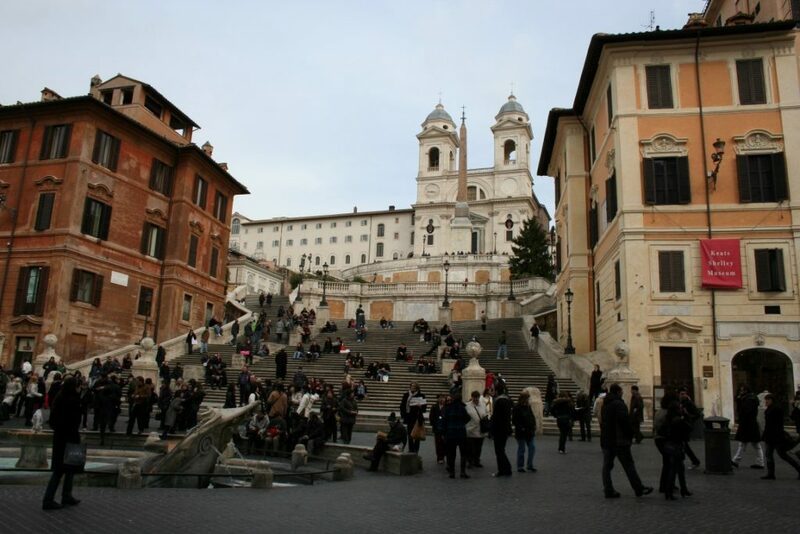 Beside the Spanish Steps in Rome, it is possible to visit the Memorial House of Shelly and Keats. Shelly and Keats in Rome – Memorial House of Shelly and Keats where this latter poet lived, during his residence in Rome, and where he died on February 24th 1821. The building was recently bought by a subscription made among the numerous admirers of the two great poets and is now used as a little memorial house. It contain a library and a little museum of souvenirs of the two great men. According to the legend, the voice of the poet sentenced feels even inside the house along with other strange sounds during the night and the mysterious phenomena like unexplained lights and cold spots. Rome special guided tours, visits can be organized to discover the secrets of the etrneal city. Memorial House of Shelley and Keats where this latter poet lived, during his residence in Rome, Near Spanish Steps, Rome city tours and special Rome iteneraries.